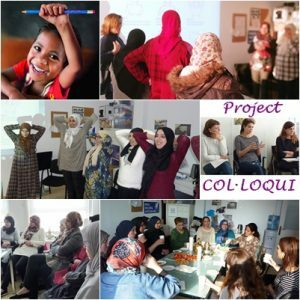 It is a project on the prevention of exclusion, social intervention and community education oriented towards immigrant mothers. We consider them to be the most influential persons in the socialization of their children and the transmitters of a sense of belonging and identification with the host country. The project aims to bring together conflicting positions, break stereotypes and help managing the reality in which women and mothers live. We promote their participation through interactive debates on various topics aligned to their interests and taking as reference the norms of democratic coexistence as well as of gender equality.